The Phoenix is an original design I came up with for a teaser promoting a feature length screenplay I had written called Test Pilot. Although the screenplay was never made into a film, it won a Toronto International Film Festival screenwriters’ competition. 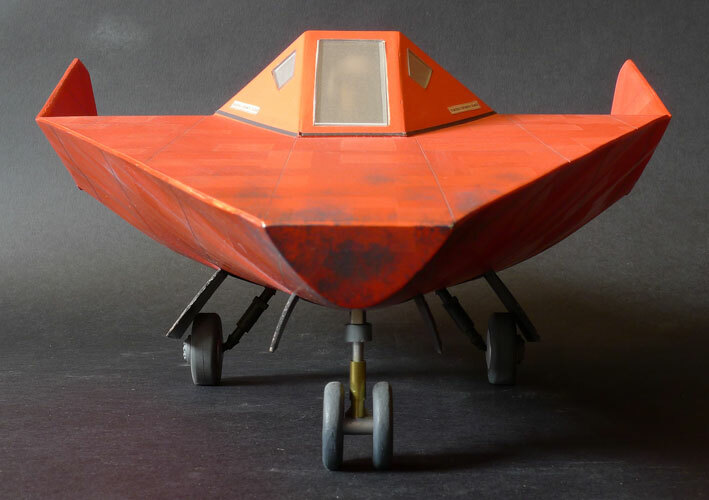 The Phoenix is a lifting body design inspired by experimental NASA craft such as Northrop’s HL-10 and M2-F2. 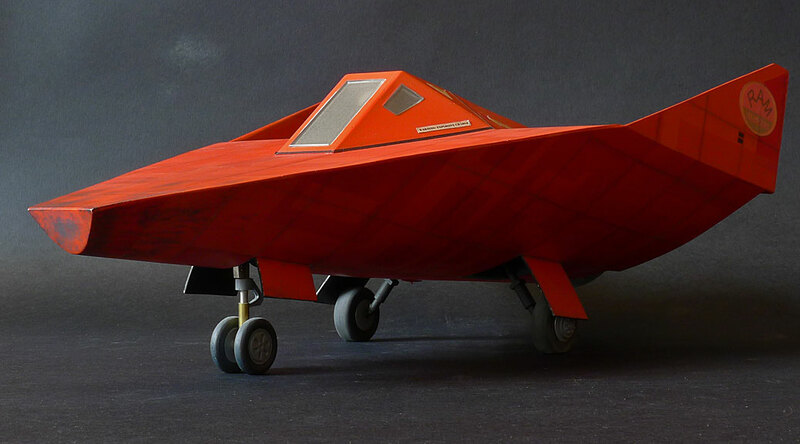 If you remember the TV series The Six Million Dollar Man, one of these craft was featured in a spectacular crash landing in the show’s title sequence. Lifting body spaceplanes were developed to demonstrate the feasibility of unpowered re-entry from space using a piloted craft which could land like a conventional aircraft. These craft were never put into operational use, but they paved the way for NASA’s Space Shuttle, which utilized unpowered re-entry. The Space Shuttle had a career spanning 30 years, from 1981 to 2011. It was originally to have been replaced by the Lockheed Martin X-33, but that program was cancelled due to technical problems. The latest potential replacement for the Space Shuttle is Sierra Nevada Corporation’s Dream Chaser, a diminutive lifting body vehicle which could fit into the Space Shuttle’s cargo bay if the wings were folded. Time will tell if the Dream Chaser program will prove successful. Using sheet styrene to build the Phoenix resulted in an origami style design with lots of sharp corners. If I were to do it all over again, I’d add some sculpting clay to smooth out the shape. The canopy glazing was frosted to eliminate the need to detail the cockpit interior. You can just make out the pilot’s white helmet if you look closely. 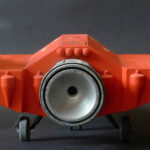 The rear landing gear feature solid rubber wheels (radio control aircraft parts) and the front landing gear wheels are from a 1:32 MIG-21 plastic kit. The engine is also made up of pieces from the spares box. 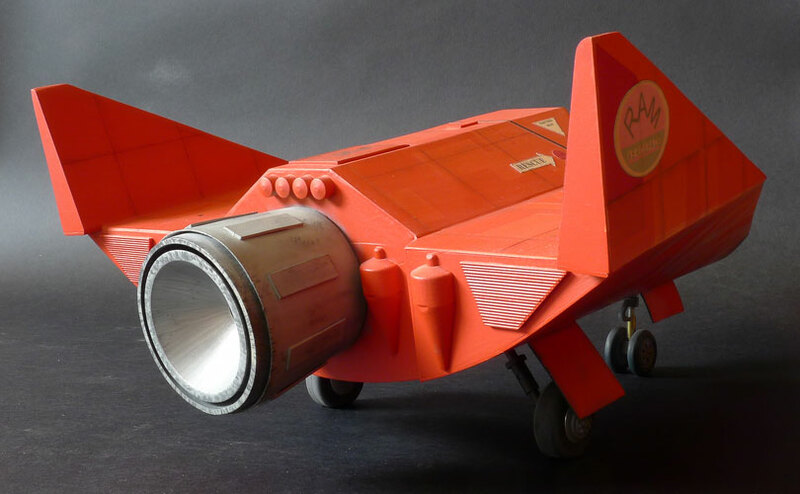 The Phoenix is quite heavy due to a solid block of wood in the interior which was the attachment point for the support rod used to position it during filming. 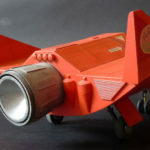 The model appeared in three shots in the video teaser: a static hangar shot, an in-flight shot showing the ship in a flat spin, and a lift-off shot which used a dry chemical fire extinguisher to simulate the exhaust blast. Since the ship is designed to operate in the Earth’s atmosphere, it has to be streamlined to minimize friction. This means no Star Wars-style detailing like you’d see on a Y-Wing or Millennium Falcon. 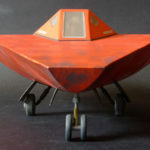 I applied a two-tone orange paint scheme to add some visual interest to the wide expanse of flat surface, and weathered the nose and underside of the ship to suggest scarring from the intense heat generated during re-entry. Like many designs, the Phoenix looks better from some angles than others. The rear three-quarter view is probably the best, as it shows the massive engine bell with surrounding detail and the rear landing gear.